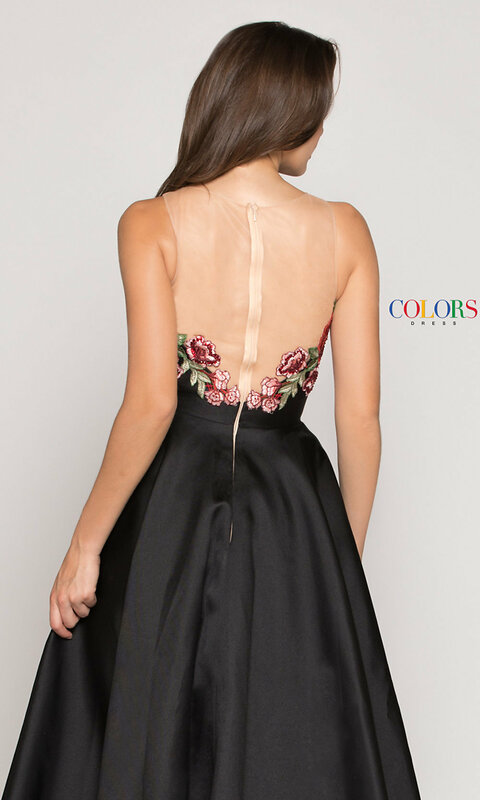 Slip into this black high-low prom dress with floral embroidery to take romantic appeal to a whole new level. 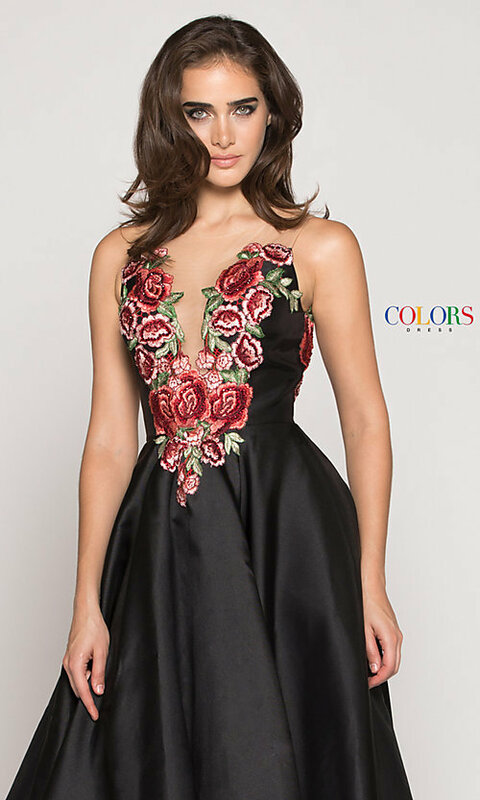 An attention-grabbing detail on this formal evening dress, the intricate rhinestone-accented floral embroidery depicts blooming red roses and leafy greenery. The sparkling floral embroidery doesn't stop there, extending just beyond the natural waistline to enhance the v-shaped design on the sleeveless bodice and elongate the overall look. Providing support to the plunging v-neck bodice, translucent mesh forms a sheer scoop neckline and an illusion open back. 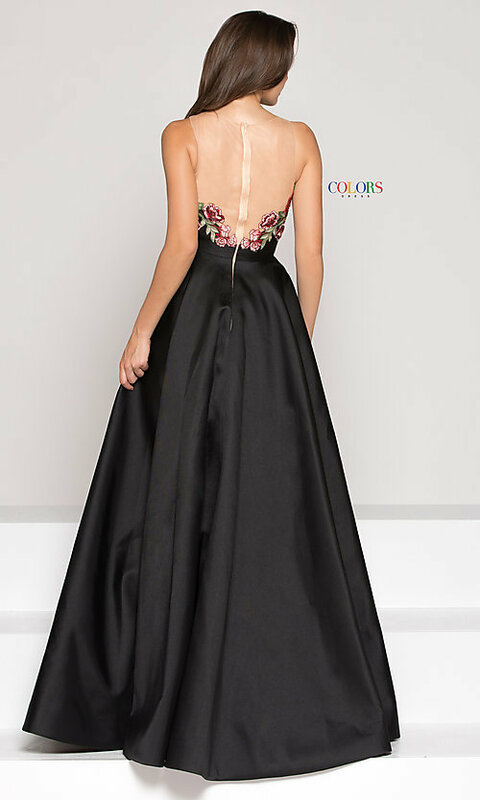 In an a-line style, the unique mikado skirt on the formal evening dress flares out away from the hips and cascades to a short length in front and a full floor length in back. 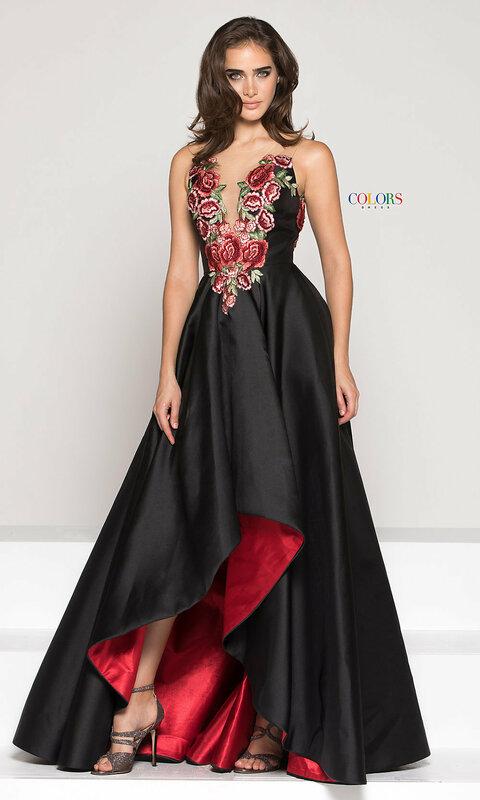 Tying the whole look together, the high-low skirt on this black prom dress beautifully reveals a bright red lining that boldly complements the floral-embroidered details.